Inspired by Old Fogey's posting; I hereby admit to being a Victorian sanitaryware fan (though I have an excuse being in the historic buildings business)! Check out Victorian manufacturer Thomas Crapper's cloakroom basin-to-die-for (top left). The Rolls Royce of porcelain products - but well worth its weight in £850.00 for the owner of the Victorian property who seeks to add real and timeless value to it. The 1962 documentary 'The London That Nobody Knows' features the extraordinary Victorian public lavatories in Holborn (sadly now gone) where the ornate gents loos all had fish-tanks above and every time the loo was flushed the fish got fresh water! Yes public loos, private bathrooms and drainage were a big deal to the Victorians, and for all their famed prudery, they celebrated their conveniences in admirably decorous style, replete with picture wall tiles. 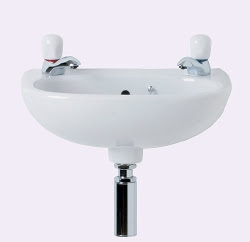 Contrast this to the mean white sanitaryware of today (below) which deserves to skulk in the closet uncelebrated. 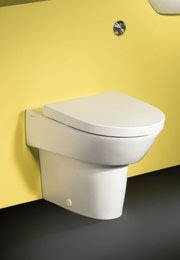 Bizarrely, since toilet cisterns became smaller in the name of employing less water in the flushing, their whole scale has shrunk so that the more ample physique struggles to fit on them anymore, particularly with the loathesome back-to-wall variety. In addition they have mysteriously become lower and lower to the ground, despite the fact that our Victorian forebears of the grandiose 'throneware' were the ones of the slighter frames! 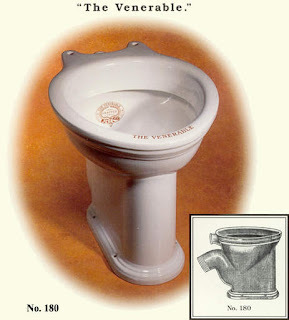 Sanitaryware manufacturers may call their designs 'greener' but I call them bad design if they are no longer fit for purpose, and maintain the Victorians were nearer the mark with high cisterns which used gravity to deliver a thunderflush, thus requiring less water. 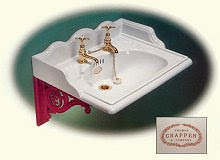 Thomas Crapper's creations were anything but crap! Good Ole Thomas Crapper eh? I know for a fact that angels came and took away Queen Victoria's digested material but I am pleased to see that she elevated the excremental experience of her subjects. OK, you are on for designing one of the Women's Colony's bathrooms. Marvellous! I always loved the chain-pull variety since childhood and I wholly agree with your disdain for the back to the wall version, which are much less efficient. I remember the Victorian "starting stall" Gents in your photo. The public toilets at Forest Gate were these, when I first came down to London in the late 60s (long gone now). The ceramic divisions between each stall came up to head height - for modesty but also to stop comparative peeking, I suppose. These were much better than the Marcel Duchamp Fountain variety, which have become the norm now. The disadvantage of the modern urinal is the spray back - especially dangerous after a few pints. I'd love to see fish floating in my cistern... provided they're not little brown ones...! 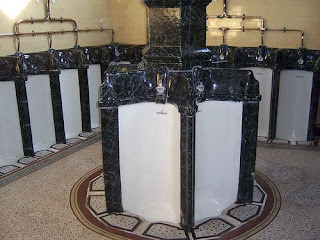 I don't suppose you've seen the Gents in the Philharmonic Pub in Liverpool. Everyone goes in for a look and it's worth it. History will record the imposition of low-flow toilets to be the beginning of the end of Western Civilization. That or rap being categorized as "music". The Victorian loos at the Pierhead in Hull still had fish in the cisterns in the early 1980s when I lived there (in Hull, not the toilets). They were a delight to use! Oh fish in the cisterns! What I would have given to have seen them. Miss the old chains very much though I do have some favourite toilet experiences which I must share at some point. I'm here via Old Fogey's blog and will be back! 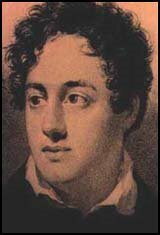 Hi Poet Laura-eate! I just wanted to return the blog visit and I'm very glad I did. It seems you have quite an eclectic taste in post topics and I just love that! Never a dull moment! I will definitely be back! How reassuring everyone seems to share my love of a beautiful bathroom! Well if you have to go, you may as well do it in style! I shall have to investigate Forest Gate and Hull, Old Fogey and Oliver. The only historic loos I found that bragged about themselves as a tourist attraction were on remote Scottish Island! They also had nice big giant baths as well (well, well-off people).